December 15, 2018 January 25, 2019 - by BiharJobPortal - 4 Comments. 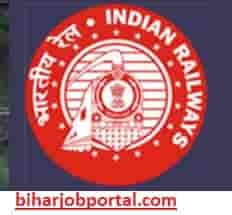 Railway Recruitment Cell (RRC), East Central Railway Apprentice Recruitment 2018 – 2019 notification is out. The interested candidate who are eligible for the apprentice post can apply online through official website. Interested candidate must download official notice and read. Total No. Apprentice Vancancy is 2234. Candidate Must full fill given below qualification. For More information candidate must download the official notification from Important Link Section. Candidate Should pay 100 Rupees Application Fee for all Category. Application Fee can be paid by online mode. Click on Link Online Application Apprentice Recruitment. Now Click on Proceed for Online Application. 10th Marks and ITI Marks. Diploma in electrical ke liye nahi hai. Download notice and check Trade wise detail.